1. 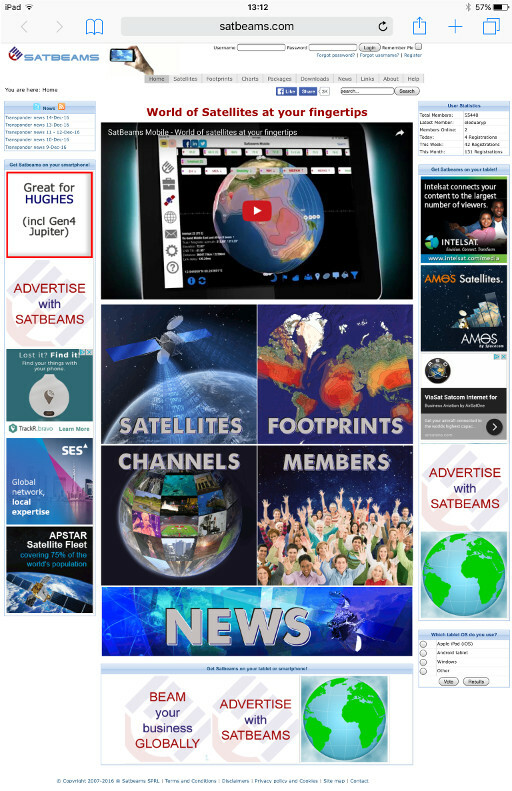 Founded in 2008 Satbeams is the world's leader in the area of satellite footprints visualization! Our site has a global audience from all over the world so it is a good opportunity to market your products and services globally. 30% of our visitors are SatCom professionals. 2. 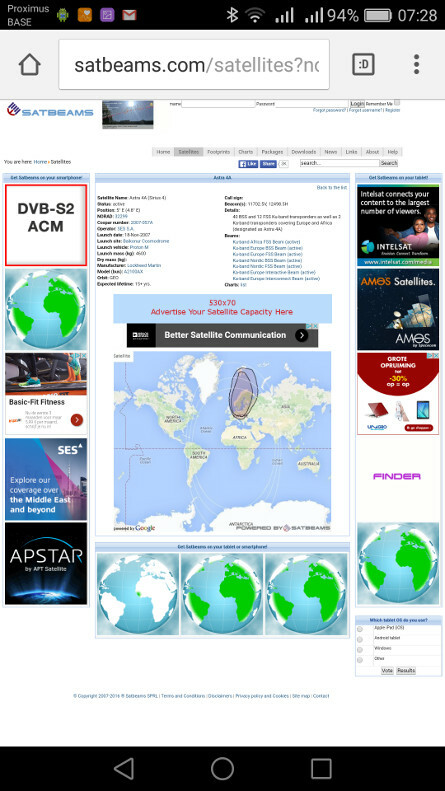 Satbeams attracts 8000-10000 visits per day (Sat TV/Internet users and professionals) and we have more than 500000 members community. 3. Average visitor browses 5-7 pages resulting in total of ~70000 page views served daily. Average visit duration is 7.5 minutes. Pool of 200x200 banners. Banners are rotated evenly across the network. Recommended animation format - GIF. Rich media content is allowed but the banner size should not exceed 50K. Advertise your campaigns with us! Run your short-term advertising campaigns with us. Add 165x70 leaderboard - top visible spot on our website (next to our logo). Maximum campaign duration - 3 months. Please contact us to book a dedicated banner spot or plan a custom advertising campaign.